I have used this program and the utility is very good simulations in the control processes that we carry out in the electronic and electrical equipment production industry. Its graphs allow us to see the low and high in the output processes and to make the best decisions, already been able to meet our expectations with the size of the desired requirements, our engineers are very satisfied with it. and have Convert this tool into your right hand. Actually I do not have any negative point in the time of use with this system, the results seem very good, the only thing I could recommend is to try to reduce the cost of the product. I recommend to my fellow engineers that they should use this tool since the simulations and control are very efficient and can perform a large number of variables. the program has been developing for a long time and because of this they have added software that complements it, this makes it better than other programs that are in the market, this makes my results in real time the most satisfactory. In the company, problems with complex equations were solved with great effectiveness and, to be interlaced with matlab, their performance is better seen allowing to see the inter relationships of variables in the control loops and if there are other tools that improve their performance and debug any final result in the processes we are doing. "A specialized software for the simulation of control systems"
It seems an incredible tool, very useful to perform the simulation of control system for multiple areas such as industrial control, which also allows me to graphically order the blocks that I will use in the control loop, being able to appreciate this graphically is very useful because Many programs only allow to express it through equations. It also has a large number of blocks and elements to use and oscilloscopes to be able to appreciate graphically the response of the output depending on the input. "A must have tool for researchers"
I use MATBLAB Simulink all the days in my work as a research assistant. It is a tool that I could use for develop different scenarios and research areas. In my case, I use the software to develop Hardware-in-the-Loop applications that could be easly deployed in a dSPACE device. Using it, Simulink makes very easy my developments and I can focus my work in add value to my research projects. It is very easy to develop using modules and connections between them. 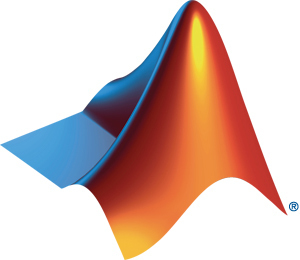 One of the thing that I think the product could improve is the compatibility between the different versions of MATLAB. When I upgrade the application and want to do some test with old programms, come times the development modules doesn't work with the same results. Is a very great tool for research, but the user have to look for the best fit tool depending of the research area or specific application, because using MATLAB in some cases is a little bit expensive or too heavy to run simple applications. Simulink makes easy the development of my research applications. "It is a perfect software for the simulation of control systems in engineering"
I like the incredible capabilities that this software has for the simulation of industrial control systems, the ability to find the compensation points in arrears or advance graphically as the case may be. In addition to having specialized tools for each analysis and approach that you want to give to a situation. I also find it quite simple to use in conjunction with Matlab, and to be able to share variables between both tools. Simulink is the perfect tool for control system design. It is very intuitive and easy to use. The user interface is very user friendly. It is easy to model the dynamics of any system, tune control algorithms and quickly analyze the stability and performance of the designed systems. Root loci and Nyquist plots are generated automatically and they're very easy to manipulate. The computations can be pretty slow. If you have long simulations to run, this might not be the best tool to use. There is no easy way to debug your system/code when you encounter a problem, it is hard to introduce breaking points. You also need to buy quite a few toolboxes (controls/aerospace on my end) to get the full experience and it can get pretty expensive very quickly. I am designing control systems for the aerospace industry. Simulink allows me to design, analyze the performance and test my algorithms and systems. It is a good way to start on control system designs and get good results and performance quickly. I like this software because this software helps me to simulate any engineering related things. As I am an engineering I have no dislikes about this software. I am an Electrical Enigneer and I am working in the De thok company. Our company has many meets with this software as this software simulates and tells about the working condition of any model we make. I think this software will touch many heights of success as I know uptill now I have seen the only software which simulates. As the software which is very very expensive approximately 15 lakhs. But it is very compatible and frequently used by our company. This software is used by our company to simulate the circuits, as the circuits in real life are very hard to implement as it can have a blast or explosion. So like this it helps us to scope the waves and to multiplex all the equipments and helps us to simulate that the PCB or our products will be easy and compatible to use for the longer and better use. Mainly the Power electronics parts are the best as our company uses that part frequently as the PCBs are direct in connection with the PCBs. So from my side this software is very good and easy to use. "Very good for fiber optics calculations"
They way it gives the exact values for different lengths of fibers when connected to different types of modulation. It need certain basics to be cleared before using it. Once the basic tools are known it is pretty much easy to design the whole optisystem. The only problem is that it takes a lot of time to start up if you are using the lower version of Windows such as windows 7 or XP or VISTA. if you are using the higher end of Windows it opens up pretty quickly. For students using this software to design their optisystem it gives a perfect value for the output which helps them in their project. "Incredible Dynamic System Analysis Tool"
The interface is simple to use and very approachable. Having the ability to simulate a dynamic system such as a DC motor or a suspension system has been incredibly helpful in my coursework, extracurricular activities, projects, and in my professional work. The price point is very steep for many companies to take advantage of Simulink. Not a very steep learning curve, but requires a large amount of engineering knowledge to use effectively. Not very useful unless the user wants to analyze dynamic systems. This would be the only use that I can see Simulink being used for. Simulink allows engineers to simulate different inputs to a control system or a dynamic system. Engineers can create models to simulate physical systems, giving them the ability to do experiments and tune systems without spending the money to build physical tests. After building the model, performance in a physical test can be compared to that of the simulation, giving engineers the power to save large amounts of money. "Simulink - The Best mathematical and control system analysis solving software." The best part of simulink is we can solve differentials equation.very quickly. At times the process gets slow to generate output. The Cost of the sofware is also in bit expensive side. I would only wish the pricing of the software to come down for many consumers to get benefitted. I have used simulink across most of my projects such as to create data analysis and comparison I have created even math problems that needed a quick and clear solve, manipulations and graphing of the results obtained. "Good tool for Control system design and Modelling"
Drag and drop option is the best I would say. Also use of built-in libraries for signal processing is a child's play! The interface could have been a little better as sometimes it is buggy in a way that when your design gets big it's difficult to make it modular like one can do in LabVIEW. I used this tool as a Master's student at New York University to design and simulate a laser based circuit for my Nano-electronics devices course. "Best for Implementing Continuous Models"
Simulink has in built logical and mathematical operators which we can drag and drop and implement any mathematical circuit. It also has S function blocks in which we can place the code and test it. There is nothing to dislike in Simulink. I have implemented rate transition filters,PID controllers and Gauge movement algorithms using matlab and I realized that we can very easily implement continuous algorithm models in Simulink which cannot be done using a flowchart or a statechart. "Does Great For Prototype Design "
Versatile and easy to use. Simulation modelling was easy to work on and produced sound results. Because MATLAB and Simulink toolboxes have been trusted by the global science community for over 30 years, researchers and educators have created a large and diverse collection of domain-specific tools written in MATLAB usable across. The interface is slightly buggy and not easily navigable. The learning curve is slightly steep but it's a great product. Model and simulate biological systems with an intuitive graphical interface. Simulink's graphical analysis gives a multi mode simulation through which the results are up against several parameters, making it even more precise. There are so many sub programs in the library, it is not at all easy to find what we want in the first go. Simulink accurately models a forced vibration with a damper and the effect of a bumpy road on a shock absorber. The resultant simulation was key to optimize the pitch of the spring for a smooth ride. "Simulate models with virtual loads"
This software is particularly valuable to mimic any sort of factor loads which are being connected on pressure vessels. Most prominent part is it can store all of the outcomes into one graphical simulation. The interface of this apparatus is very old. Matlab needs to take improve on this. Furthermore there are no easy take on solution in the post processing. I have used to study the static reaction of a boiler for different loads acting on the system. "Virtual circuits at an ease"
"Sorting and real time implementations made easy"
Have used in a project of modelling of a Foucault pendulum where its revolutions and moments were to be captured and read. "The software for prototype design"
Versatile and east to use. Used for designing a vertical axis wind turbine and hovercraft and found it's simulation modeling to be great. Misses out on support on common languages such as Java- script and does not have the most intuitive interface. "Circuit prototypes software in a jiffy"
Third party plugin support is the best feature of Simulink. The IDE is best in class when compared to other software in the range. It is very expensive. Lack of modern language support like java-script. Simulink has good compatibility with other third party software. 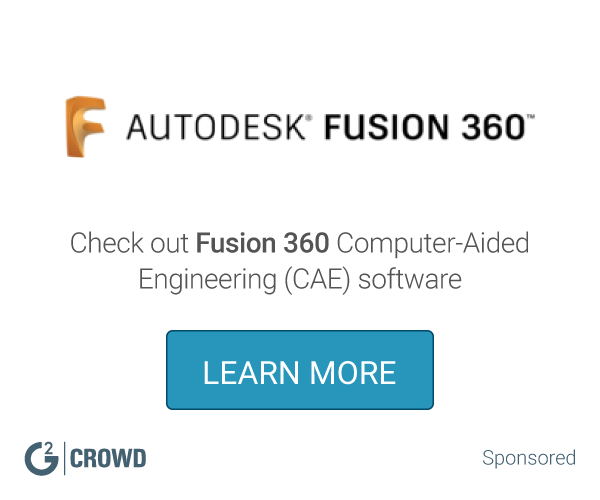 So you work on other software and use functionality on Simulink. "Simulink is the go to software for prototype design"
The functionality of Simulink is an engineer's dream, all types of mathematics related engineering problems can be solved or analyzed using Simulink. "system sorting and implementation of virtual designs made easy"
"Coding for real time applications and simplicity "
"system sorting and real life implementations"
"The future of microcontroller programming"
You need a lot of money to buy it. Sometimes you must buy an expensive module that you may use only for a small part but without it you can't keep going. Evaluate which modules you will need carefully or maybe you will have expensive surprises. "Best for model based simulations"
I like the way this software has upgraded over the years with respect to model based simulations. Even though it is an add-on to MATLAB, even Simulink eats up a large chunk of RAM. Analyzing system response and implementing control techniques. "Excellent circuit practice for developing a new logic circuit"
"Graphical representation of multi domain"
"Simulating models for sinusoidal loads"
"Real-Time Control Prototyping in Simulink"
"Response of multi domain environment"
"Easy method to sort a system"
"So far a best tool to resolve electrical circuits for embedded engineer especially"
"Auto code generation through model based development"
"sorting of a system easily"
The User Interface could be made better. "Easy way in sorting a system"
"Coding for real time applications"
The options are wide. We can do any physical model be it mechanical, electrical model and simulate it virtually to troubleshoot. This is huge in case of cost cutting. The interface is tedious. It packs in features so many that it takes time to find exactly what you are looking for. A comprehensive modeling, simulation and computational implementation of buck converter using Simulink. It was way faster. "Study of Multi domain models"
"Maintaining dynamic response of a system for better output"
The best part is we can give input from C/C++. "Comparing results of multi domain problem"
"analyze multidomain dynamical systems in a jiffy"
"Analysing the multi domain problem"
"Orchestrating of a system made straightforward"
"Sorting of a system made easy"
"Dealing with multidomain inputs to generate output"
* We monitor all Simulink reviews to prevent fraudulent reviews and keep review quality high. We do not post reviews by company employees or direct competitors. Validated reviews require the user to submit a screenshot of the product containing their user ID, in order to verify a user is an actual user of the product. Hi there! Are you looking to implement a solution like Simulink?